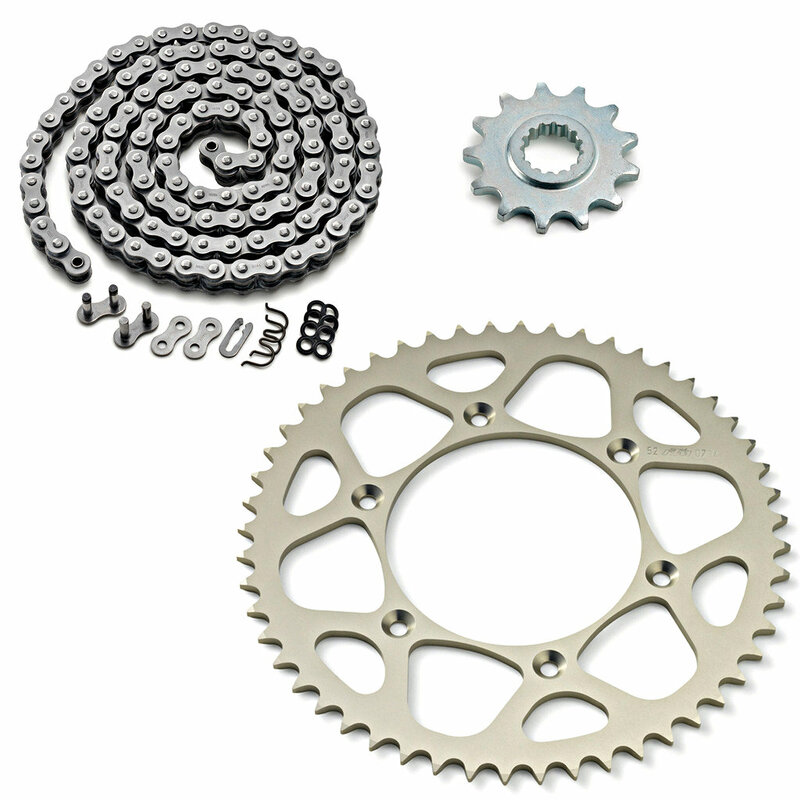 BeschreibungDrivetrain kit comprised the front (16T) and the rear (42T) sprocket and the chain. Fits for 1190 ADV '13. Will fit other models. Drivetrain kit comprised the front (16T) and the rear (42T) sprocket and the chain. Fits for 1190 ADV '13. Will fit other models.